Metminco (LSE:MNC) is a dual listed, AIM and ASX mining company with a particular focus on copper exploration and development. Metminco's share price is down ~56% over the immediate past 52-week period, but does the company have potential? Metminco's current share price stands at 4.20p which assigns it a current market capitalisation of ~£73.5m. The firm has 1.75 billion shares in issue. As shown by the graph above, it is fair to say that Metminco's movement is strongly downward and showing little signs of changing this. Little current interest in the share plus its high risk assets and relatively illiquid trading has led to an unrelenting drop from the heights of 2010 which saw it stood at over 30 pence - a multiple of the current price. Consequently I have drawn the conclusion that in the absence of news, 3.75p could be re-tested and potentially breached. The top twenty institutional and director shareholdings as at the end of October represented ~62.6% of all outstanding shares owned so it is clear there is a strong backing from the city. Whether this changes as a result of the downward movement will be interesting to see. Therefore the upside potential would need to be in the form of news. So what does Metminco actually offer? 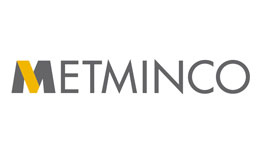 ﻿﻿Metminco operates through two wholly owned subsidiaries in Peru and Chile in South America. Geographically the countries share a northern border to operationally the split makes sense. In terms of stages are the following projects. One project entitled Mollacas (Chile) is currently at a feasibility study stage where costs/benefits of the particular project are under review. The portfolio contains two advanced exploration projects; Vallecillo (Chile) and Los Catalos (Peru) with four exploration projects that are currently in their initial stages; La Piedra, Camaron, Isidro, Loica (all in Chile). Its flagship project is certainly Los Catalos which could be regarded as one of the largest undeveloped copper deposits encountered. 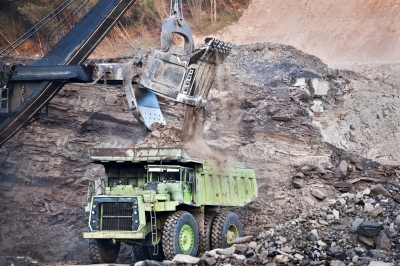 Metminco's Peruvian operations (Los Catalos) have estimated reserves of 1300MT. The company describes the project as follows: "Large deposits, low Cu grades, low cash costs, high capex & good margins." The prospect is effectively a large Copper-Molybdenum porphyry system. 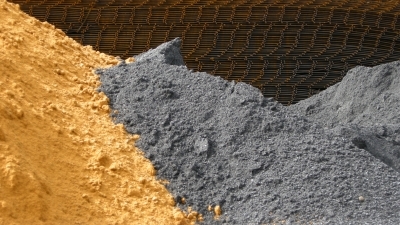 Metminco boosted reserves here by 350% to 926MT in 2010 and by 170% earlier in the year from 4.7MT contained copper. ﻿﻿Broker Cannacord released its report on Metminco in September where it highlighted that Metminco currently trades at a much larger discount to its industry competitors. Using approximate Canaccord calculations, at 5p/share Metminco traded at 0.6cts/lb whereas this would compare to the current level of circa 0.48cts/lb. This compares with the "industry average of 2.7cts/lb" thus reflecting the undervalued nature of Metminco. Hence the problem once again is not the potential, but that the potential is not currently being realised through production. Metminco has released a raft of news since the start of the year which I will briefly cover. The first significant news released addressed an update at the Mollacas copper project. Copper ores were observed during test drilling as both oxides and supergenes. The best 7 holes(out of 21) found 11 intercepts averaging 31m with an average copper oxide percentage of 0.68%. The next 'new' news was released in March through the Annual Report. Through this we can see the financial state that Metminco finds itself in. The loss for FY 2011 stood at $9.7m down from ~$15m in 2010 albeit this was due to the nature of the work embarked upon in 2011. Cash stood at a substantial $44m although this has since decreased. However the company did note the following during the year: Following the cessation of drilling, the monthly exploration expenditure has reduced to the extent that we anticipate a free cash reserve of approximately US$14 million at year-end. Consequently either another placing will be required to help fund operations late around Q4 2013, or the company can sell off some of its less prospective, undeveloped assets. This is being contemplated with Mollacas. Therefore it may be reasonable to consider that cashflow is not an issue for the company on a medium-term timescale. However, it is debatable as to whether some of the salary increases are justified. Total salary fees tripled from 2010 to 2011 whilst the share price has effectively plummeted. Its also debatable whether both William Howe (MD), Philip Wing and Gavin Daneel require such large salaries considering their roles within the team and the size of the jumps. For example, William Howe's salary jumped from $200k in 2010 to $450k plus a further $225k in profit share and bonuses in 2011. In addition to this, a positive update on the Los Catalos project was announced as below. However the flip side to the savings are that production will initially encounter lower levels of activity than expected under the previous plan. 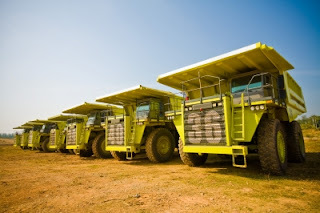 A 'conceptual mining study' is also expected prior to Q1 2013 which is when the pre-feasibility study will commence. At Mollacas (copper leach project), a feasibility study is expected to commence in 2013 whilst at Vallecillo a scoping study is also due before year-end. Also at Vallecillo, Au-Zn mineralisation is primarily prevalent with a strike length in excess of 300m. A resource estimate is expected here in the very near future. Consequently there are a number of potential events coming up that could help the share price recover. This would require a recovery led via the ASX listed shares though as they are more actively traded that their London counterparts. Due to the assets Metminco has, it has price targets set at 34p at 47p although these definitely look out of reach in the medium-term. Perhaps should the price recover back through and out of the channel, 10p would be more reasonable as an initial target. Based on current price movement it is likely that 3.80p will be re-seen although this is clearly not a certainty. The movement up today looks somewhat false with many trades going through below 4p. However, if Metminco continues to decline in value, it would not be surprising to see a low-ball offer come through for the company on the basis that they have excellent prospects as opposed to their current state. For example, the Los Catalos project would have impressive potential to turn Metminco into a large mining company, except it currently does not have the financial capability to do so. Exploitation of their resources will take time should the company pursue it, thus if joint ventures can be gathered to accelerate the process (primarily through funding), then Metminco may be better placed to deal with the challenges associated with the development phases even if it does mean losing a share of the spoils. A medium-term change in sentiment may act as an effective precursor for trading this share, without this it will continue to continue downwards towards a market cap of ~£50m. Update (April 2013) - I have started updating the conditional share reviews. This investment has reached and dropped below the £50m target. Neutral after a 39% decline. I hope this project will be successful. I am writing this to the director of the company. You have to think about your investors not about your pocket. You have the largest amount of copper in the world and your comapny is x3 lower in price than other companies. You have to think and make better deals in order to improve the ways you manage this company. I think you have to quit, thanks.